Are you fascinated by the ghost ships of the deep? The NAUI Wreck Diver (non-penetration) course is for you! 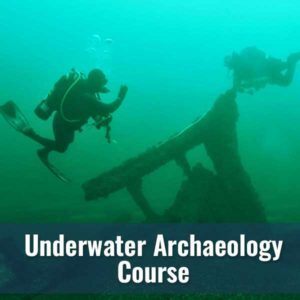 Learn techniques for safely exploring all types of sunken treasures. 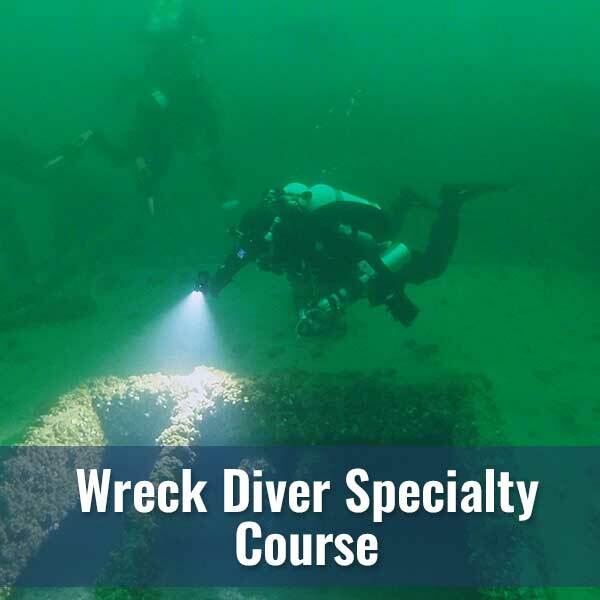 If you are at least 18 years old and have a NAUI Advanced Scuba Diver certification or the equivalent thereof, you can take a Wreck Diver (External Survey) course and start exploring sunken vessels, aircraft, and other amazing wrecks in the underwater world. During your training, you will learn about safety, hazards and cautions, special risks of overhead environments, entanglement, limited visibility, deep diving, equipment, location of wrecks, sources of information, search methods, underwater navigation, legal aspects, artifacts, treasure, salvage, archaeology, and much more. Get ready to start exploring! As long as you are 18 years or older and in good physical condition, you can enroll in a Diver’s World Wreck Diver Specialty course. You will also need to hold an Advanced Scuba Diver Certification. 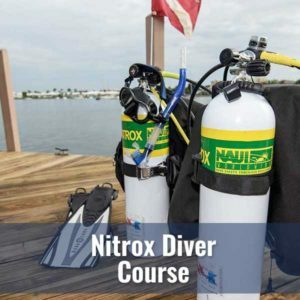 Your class fee will cover the costs of class, NAUI training materials, your Instructors and Dive Master, and NAUI Wreck Diver Specialty certification. Students shall furnish and be responsible for the care and maintenance of their own diving equipment. You will need to have, or rent, all of the redundancy equipment required for the training dives. The instructor shall initially assist the student in checking all student gear to ensure it is adequate and in proper working order. 100% Internet Price Matching*: Remember, if you find a lower price for the exact same item, we will match it! *Some restriction apply. See store for details. A minimum of two open water dives with your instructor are required.